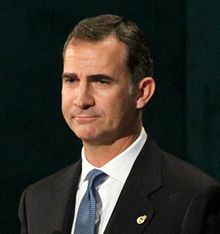 King Felipe VI of Spain had no choice, but to call for another national election. There were a number of different attempts to form a government, which all failed since December. The Conservatives (PP) under Prime Minister Mariano Rajoy have continued the task of running the government on a daily basis, but it is only a caretaker. In power since 2011, the Party still remains the largest in voter support, but no longer has a mandate to create a working majority in Parliament. The ongoing political instability is beginning to have a negative impact on the economy and investment community within Spain. It is also making foreign investors more wary about the immediate future of the country. 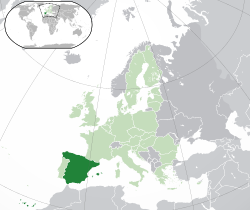 On June 26th the voters in Spain will return to the polls for another endeavor, at ending the impasse in which direction the country will move in. Although another fragmented result may well follow, trends are moving in the direction of PP. This will be based on the rather robust recovery of the Spanish economy. The economy expanded by 0.8% in the first quarter of 2016 following a similar rate of growth in the last quarter of 2015. Growth for all of 2015 was 3.2%. Real GDP (Gross Domestic Product) growth for 2016 is forecast to be 2.9% and is predicted to slow somewhat in 2017 at 2.3%. It compares quite favorably to the 1.4% rate of expansion for 2014. The better prospects in growth provides impetus for a better election result with the Conservatives at the ballot box. Although they are still likely to fail to gain a majority, PP will be in a far stronger position on forming a new governing coalition. In addition to a slightly higher expected vote count for PP, the liberal centrist Ciudadanos (Citizens) Party can also expect to receive a large share in the next election. As the fourth largest political party its pro-business position, will appeal to those voters who do not want any changes that might damage the present economic recovery. Together PP and Citizens along with an expected small number of splinter parties can form a new government. This could bring them to the needed 176 seats out of the 350 total. If the Citizens and PP can reach 170, the remaining six seats are sure to be found somewhere. 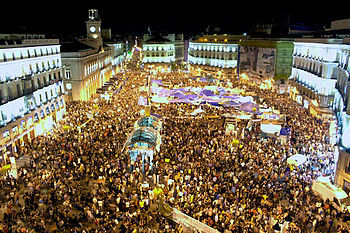 Podemos celebrating its election result on last December. Fully aware that the election later this month would favor the Conservatives, in early May it was announced that Spain’s anti-austerity Podemos Party had joined forces with its smaller left wing rival Izquierda Unida. 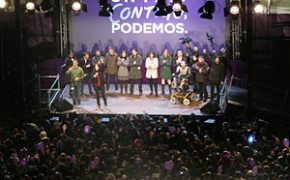 This united effort will boost prospects for Podemos,which as the second largest party was able to capture 24.4% of the vote in the last election. It was somewhat below the 28.7% garnered by PP, but close enough to be competitive. If Podemos collaborates with its aforementioned rival, it is estimated they could raise their total tally in the Parliament by as much as 14 seats. If this alliance of the left holds, additional pressure will be placed on the Socialists Workers Party (PSOE). It will relegate the party that came in third place with 22% of the vote, to a semi-permanent position of declining influence in the new Parliament. They will no longer be the leading voice of the Spanish left. Of course, they could also end up playing the power broker, if the other two possible coalitions fail to create a government. Regardless of the election outcome, the old power combination that was erased last December is unlikely to totally reemerge. Previously the PP and the PSOE alternated in power sometimes through coalition,since the restoration of democracy in the late 1970’s. It is possible that the Socialists could once again join the Conservatives in a new Grand Coalition. This would make a victory by the new left, utterly impossible. It would also unfortunately create more turbulence in a party, already dealing with declining voter support. The problem for Spain remains economic, which is the root cause for the present instability in politics. The public deficit for 2015 came in at an dismaying 5.08%. This rate was the highest level in the European Union (EU), with the exception of Greece, which had a rate of 7.25%. It was well short of the 4.2% target, that had been agreed upon with the EU. The International Monetary Fund (IMF) is insisting that there needs to be further fiscal tightening. The financial organization blames the upward surge in the deficit, on the tax cuts passed by the Conservatives in the run up to the election last year. Prime Minister Rajoy has stated these cuts were necessary to help the ongoing economic recovery. In April of this year, the Spanish government estimated that economic growth for 2016 would slow to 2.7%, from the original forecast of 3.0%. It is still far above the average of 1.8%, within the European Union and is more than adequate, considering the present state of the slowing global economy. As a result of the IMF report, the government has pushed through a 2 billion Euro or $2.27 billion USD (United States Dollar) spending cut. This will keep Spain closer to previously agreed upon primary debt levels. Government debt to GDP ratio was at 99.20% in 2015. It has now declined to 98.9% and is dropping slowly. The biggest hurdle for the next government in Spain will be dealing with the excessively high unemployment, especially among the country’s youth. The overall jobless rate has inched up again from 20.9% at the end of last year to 21% again in the first part of 2016. It remains the second highest rate in the EU after Greece. That level has been slowly declining from the over 26% rate, last seen in 2013. Youthful joblessness is still devastatingly high, finally dropping to 45% in April from 45.50% in March. The all time high was reached in July of 2013, when the rate hit 55.90%. It has been descending steadily since then, but remains the major issue for the government along with persistent corruption and crony capitalism. The fracturing of Spanish politics is largely the result of the unemployment situation. The measures of austerity passed to deal with the excessive debt, is the other reason that alternative parties have gained enormous strength in the last general election at the end of 2015. The patience of a growing portion of the populace, especially among the youth is exhausted. An additional challenge for the central government will be the growing regional movements towards sovereignty, particularly in Catalonia and in the Basque region. There is an increasing portion of the electorate that is willing to try more unconventional methods of governance and economic policy. A sizable portion of the electorate is responding to the siren call of those politicians, who promise an escape from European wide austerity. As in Greece the effort is doomed to failure, if Spain wishes to remain part of the Euro-zone and the European Union. 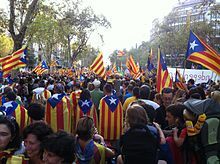 The voters of Spain are divided what is the best path forward for the country. Until the citizens decide, the future government of Spain will be narrow in its legislative majority. This will be the case, regardless of the electoral outcome later this month. This election will prove to be the most important event for Spain..The country is already facing so many economic problems and hence more political instability will worsen it..I hope Spaniards choose the best for their country and recover soon from their problems..